C2R Copper/Carbon Remover/C2R Bore Oil combo. 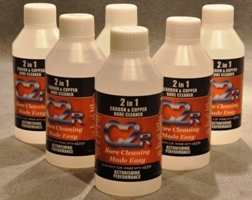 Buy one 150ml bottle of C2R Copper/Carbon remover and one 100ml bottle of C2R Bore Oil/Conditioner and save money. See the main listings for full product details.